Janice Shade knows soap. A few years ago, she left her job at a leading natural cleaning products company, and set out on a mission to create a natural soap that also respected people’s budgets. Why? Because Janice knew that even the best eco-friendly product will have a limited impact if only a handful of people can afford to buy it. The result of Janice’s mission is True Body Soap. In honor of its five simple ingredients, here are five things that we think are great about it: 1. It’s priced 65% lower than the average natural bar soap. 2. It’s unscented, a boon for those with sensitive skin or fragrance allergies. 3. The packaging is made from 100% recycled material. 4. You get three to a package and three is better than one (or two!) 5. It lathers well and won’t melt away after a few uses. 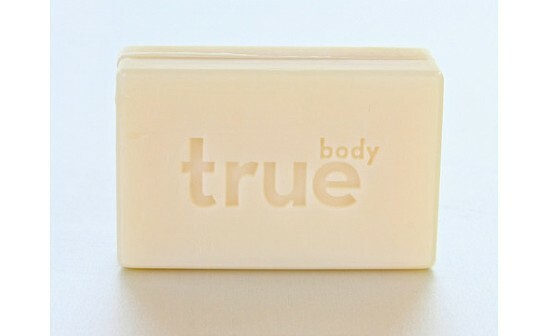 If you don’t want to choose between buying good natural products and meeting your budget, True Body Soap is the best soap for you (bar none). Hello Daily Grommet Fans! We’d like to thank all the great folks at Daily Grommet for helping us spread the word about what we’re doing. 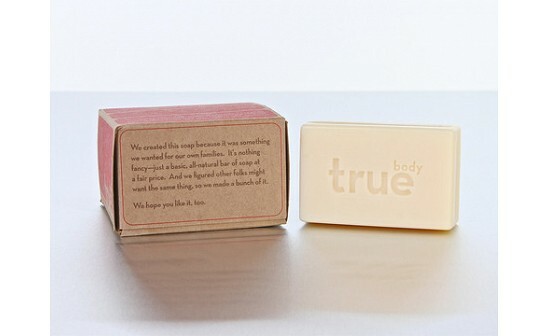 We created True Body Soap because it’s something we wanted for our own families—a good product at a fair price. And we designed our company, True Body Products, to be the kind of company we’ve always wanted to work for—one where a commitment to useful products, happy people, strong community, and a thriving planet supports the pursuit of a healthy bottom line. We’re excited to share with you what we do here, and we’d really like to hear from you. I’ll be checking in to read your comments and am happy to answer questions. Be well and be clean. 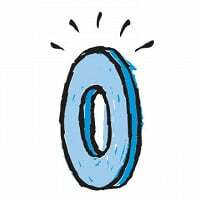 Great looking grommet - very generous trial offer, too! DG- I love what you're doing & the products that you are sharing. I can't wait to get my soap. Thanks for the extremely generous offer. This soap IS awesome. Janice - bravo!! I am so happy and proud of this made in Vermont product! Extremely proud of Janice and the contribution she is making to the environment and my daily living - keep up the good work! Thanks for all the great comments and good wishes. Patti - what a nice surprise to reconnect with you here! I'm a Vermonter, so I already get to use this soap - and it is terrific! Thanks, Daily Grommet, for spreading the good word that you can have natural soap on a budget! Of course, if it is Janice's, it is good. I've known her since she was a kid, and I can vouch for her integrity. I can't wait to get mine. Hi Lyn - my dear old friend. Some sudsy goodness is coming your way! I love this! I am highly sensitive to fragrances and am really looking forward to trying this soap. Thanks for another worthwhile Grommet! This soap is really the best! I've given it to my family & friends as gifts - nothing like encouraging a good earth and cleanliness at the same time! I tried the True soap bar last week and let's just say, it is now tried and true. I confess, I am a soap snob. It is the only time I word use the word 'snob' to describe myself. The True soap bar exceeded my expectations. It lathered beautifully, was delicate on my skin, rinsed off niciely and while it is scent free, you do smell clean afterwards. This bar of soap is revolutionary! I didn't realize this had a time limit on it and did not get to this until just now. Is there any way to extend this another day so I can forward it on to my friends? Forgot to add... this soap is great. One bar outlasts 2 or 3 of the national name brand soap we have been using and it does have a good, natural smell... that smells clean! Thanks so much, Janice. I ordered one for my household and one to send to my niece who has extremely sensitive skin. I can't wait to try it. Hello, I don't see the free offer for the soap! Then I was reading the others comments and found out it expired on Friday July 30,2010. Is it possiable you could still send a bar out for the late ones, I have been reading the Daily Grommet everyday and just got to your sight. Question is this soap good for children that has skin problems? I would love to try it out if possiable. Thank you so much to see that you are trying to help people with natural things, and the sight is so wonderful to read to. Christmas is just around the corner too. Please let me know if you can ship some soap to me. Thank you again. @ME - This soap has only five ingredients with no perfumes which is good for sensitive skin. You can ask your child's doctor if these ingredients would cause issues with your child's condition: Coconut Oil, Palm Oil, Water, Vegetable Glycerine, and Sodium Citrate. Unfortunately, this offer expired at the end of July 2009. Thanks for posting, we are glad to have you exploring our site! Can this soap be used as a shampoo bar as well as a body soap? @Rhonda Davis: The ingredients were chosen as those particularly beneficial for cleansing skin. Thanks for stopping by! Janice Shade knows soap. A few years ago, she left her job at a leading natural cleaning products company, and set out on a mission to create a natural soap that also respected people’s budgets. Why? Because Janice knew that even the best eco-friendly product will have a limited impact if only a handful of people can afford to buy it. The result of Janice’s mission is True Body Soap. In honor of its five simple ingredients, here are five things that we think are great about it: 1. It’s priced 65% lower than the average natural bar soap. 2. It’s unscented, a boon for those with sensitive skin or fragrance allergies. 3. The packaging is made from 100% recycled material. 5. It lathers well and won’t melt away after a few uses.